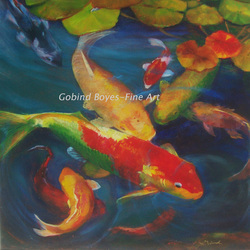 8"x10" painted at Rogers Gardens "Day in the Garden show"
oil painting of Koi in the pond is like having a Koi pond that you never have to maintain. There are nine Koi here that are considered auspicious in chinese Feng shui. 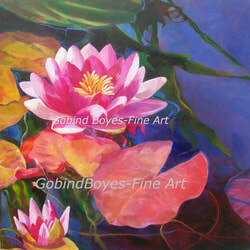 20" x 20"
To find out how you can own any of these paintings click here.